Ripagreen – NHS Las Vegas trade show. A new chapter for Ripagreen brand with the official launch in the United States of our innovative weed control solution Ripagreen during NHS Las Vegas trade show. After years of success in Europe, the High Velocity Heating System arrives in the US. Discover this unique solution for the weed control of your cities, cemeteries, parks and gardens on our booth #10367 located in the North Hall building. Fast, efficient and ergonomics are the most accurate words to describe this new solution. Feel free to discuss with our sales team for your needs in United States, Canada and Mexico. Ripagreen will present its latest innovation Pavilion 3 Booth C59. To treat faster weeds and cover larger areas, discover the latest news from the specialist of pulsed heat equipment. 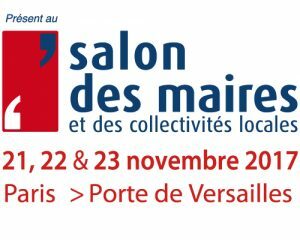 Thousands of cities have chosen Ripagreen, do not hesitate to discuss with our team at the “Salon des Maires” and test the pulsed heat system. The Ripagreen team will present these solutions to assist you in your bio weeding project. SEFMAT/Ripagreen Company is proud to be awarded in “sustainable development” category at Salon Vert 2016. 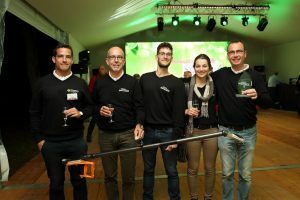 Salon Vert is the leading trade show in France for gardening and landscaping. The Ripagreen set and its unique system of hot air diffuser was highlighted by the jury. This recognizing allows us to stay the key player on the alternative weed control market. Cities and landscapers trust our solution and we would like to thank our clients for their visits and positive feedback on this trade show. Discover RIPAGREEN pulsed hot air weeding solution on Galabau Trade show in Nuremberg from 2016, September 14th to 17th. We welcome you on our booth 138 in Hall 6. RIPAGREEN provides an alternative to chemicals treatments for the maintenance of green spaces, gardens and parks. RIPAGREEN is adapted to many types of fields and has been developed to achieve the best return Consumption/Treated surface. Come to discover this revolution on the alternative weed control market. Town halls and institutions are invited to discover this innovative alternative weed control solution which meets the criteria of the Labbé law. This law, which deals with energy transition for green growth, prohibits the use of phytosanitary products by the State, local communities and public companies on roads, in green spaces, forests and walkways open to the public from 1st January 2017. Ripagreen provides an effective, ergonomic solution adaptable to many types of application (roads, green spaces, rockeries, etc.) to meet this new requirement.